SiteBuilder Lite - Drag&Drop site builder and CMS - CODELISTPRO | Free Premium Scripts, Plugins, Apps Source Code. 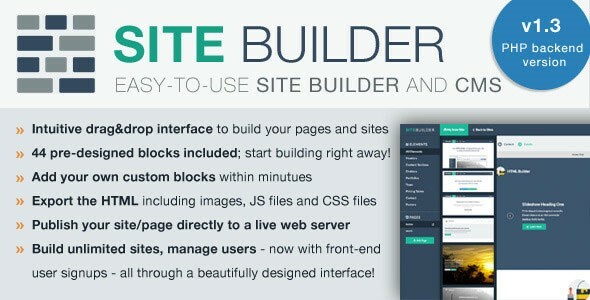 SiteBuilder Lite is an easy-to-use page builder and light CMS. Use the intuitive drag&drop builder to combine pre-designed blocks into rockin’ page and sites!